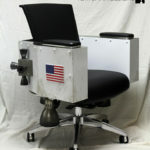 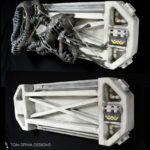 An Apollo 11 space themed custom chair for a client’s awesome home office. 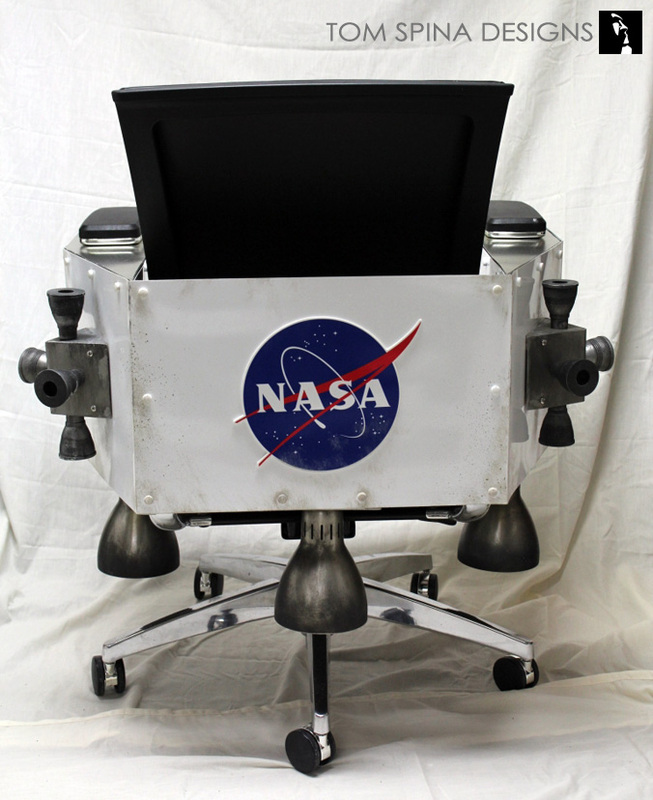 When the client who had us create a Lunar Landing Module themed desk for them, also wanted a themed custom chair to complete the set, he knew who to call! 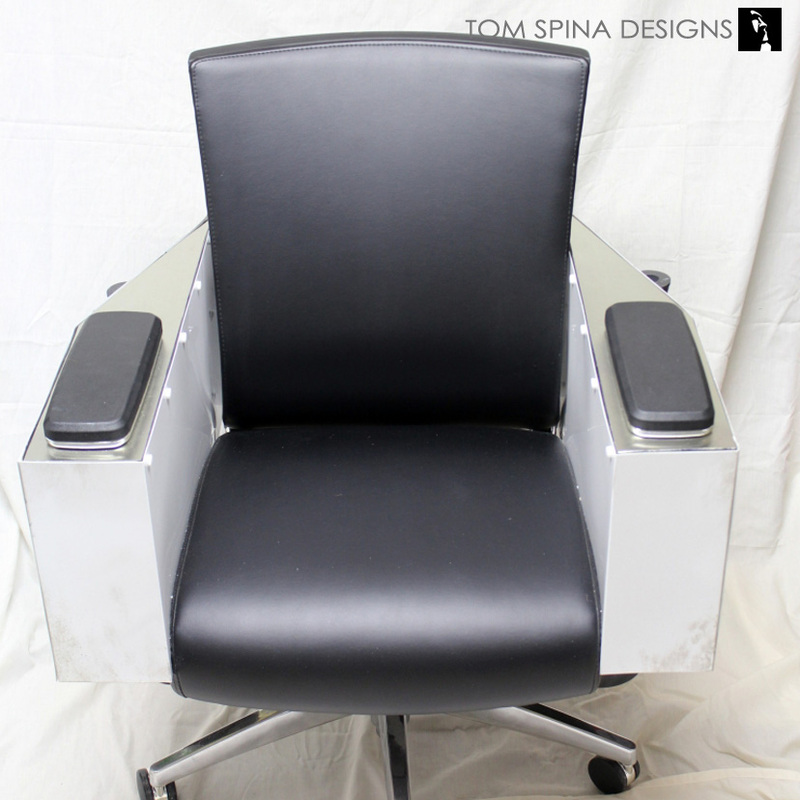 As with all of our themed furniture, we want each piece to look impressive and unique but it is equally as important that they be functional for the client. 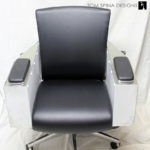 To increase the function of the chair without raising the budget, we began this project with an existing office chair. 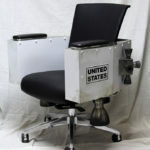 Using a preexisting chair also meant that we could use a style of chair that we knew would be comfortable for our client to work in. 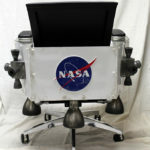 We wanted the chair to be unique and themed from all angles, so no matter where the chair was or what angle it was viewed from that it would have visual interest. 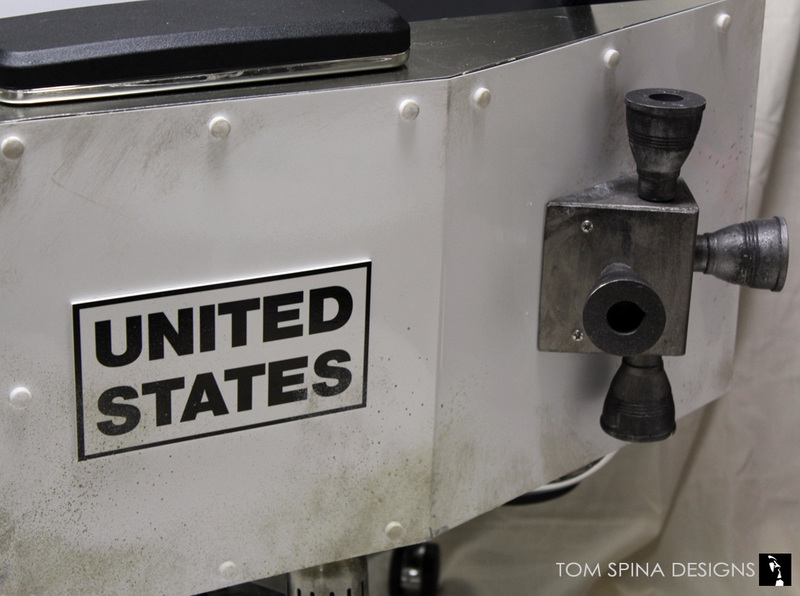 We created the framed pieces from aluminum and added the distressing and thrusters for an authentic, vintage spacecraft look. 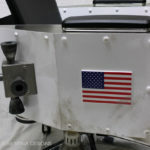 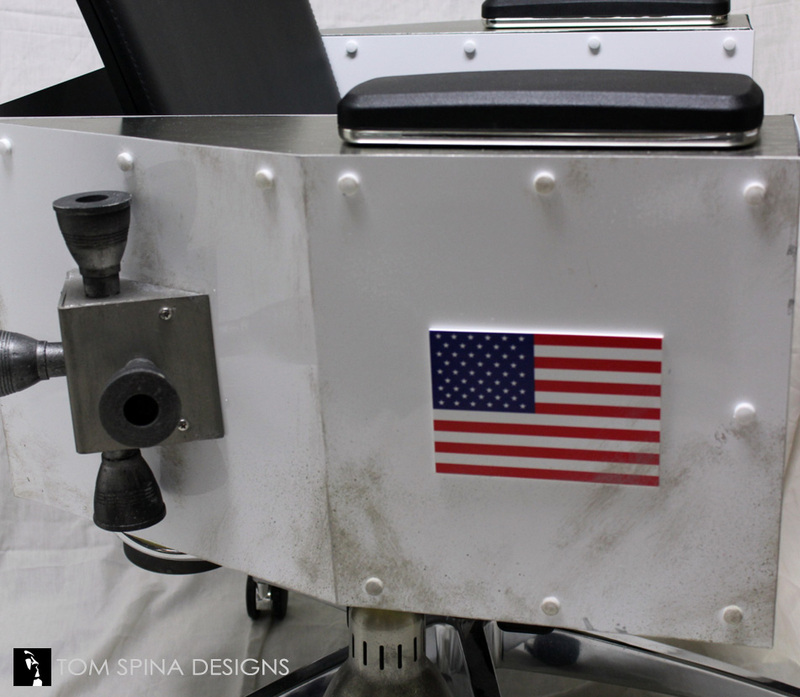 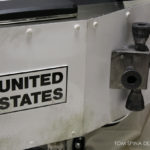 We also added different theming elements like the NASA logo or the American flag and even thrusters underneath the seat… in case he needs to take off from work some day! 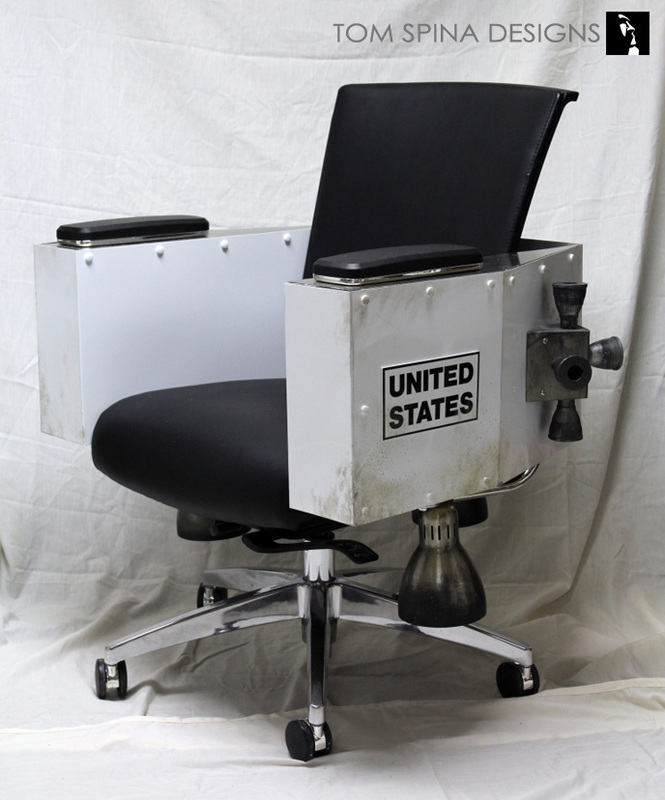 The finished custom themed chair is a movie-worthy piece of art that instantly brings to mind the feel of the 60’s American space program. 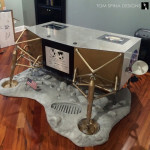 A perfect companion piece to the LEM inspired desk we created for this one of a kind home office! 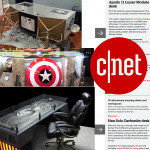 Love Stanley Kubrick and his films? 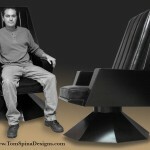 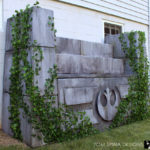 Check out his 1968 sic-fi masterpiece!